Coffee shops are now excellent venues for business meetings, or to get together and catch up with friends. Most cafes are popular not only for their great tasting coffee but also for their friendly service and the expertise of their baristas. We have listed the top cafes here in Perth that any local or foreigner should visit. Check out the list below and find out why people love them. 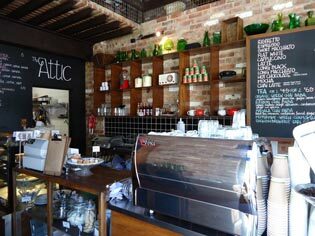 From 7 am, The Attic Fremantle is serving many coffee blends, along with their best seller bacon and eggs brioche buns. 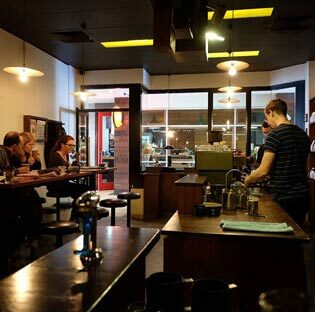 The café is well-known for consistently making good coffee in Perth. The place also creates a positive vibe that is perfect to start the day. Sit back and relax in the cozy comfort of the lovely decorated shop. The service crew is moving fast to attend to orders and getting acquainted with their guests. 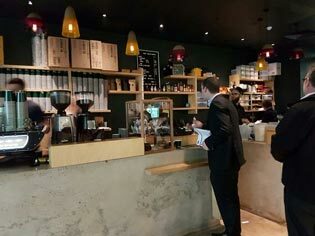 Located in Piccadilly Arcade, Standing Room Only is the known for serving the best coffee in Perth CBD. As the name suggests, the place is best for take-outs especially when you are in a rush. When you require a quick dose of caffeine to excite your day, Standing Room Only should be your quick stop. Coffee brewed to perfection is a great way to start the day. It proves true on Low Down café. The place may be hard to find in the basement of a building, but this does not stop people from frequenting the café. The excellent customer service crews are what keeps their regular patrons coming back for more. If you prefer a more fun and friendly ambiance to get your round of coffee, Elixer Coffee Specialists is for you. Also popular for their consistently good food. Their staff shows the passion to serve that perfectly brewed coffee every time. The coffee is robust and creamy, only satisfying for those who love their beans and brews. One of the most talked-about cafes in Perth, Bossman is on top of our favorite coffee shops in Perth. The café may be hidden, but it is very cozy, warm and inviting. It is a great rendezvous for friendly chit-chats with longtime friends. Their food and sweets are a perfect match to your coffee. Brewing coffee to perfection is an art. It requires practice and passion for mastery. The increasing number of coffee shops opening is unstoppable. Coffee schools are also training their students well. This rapid increase of coffee lovers poses significant opportunities for Barista jobs in Perth. Cafes are now among the fastest growing industries. A great barista should have the passion for serving great tasting coffee. Knowledge about the coffee industry gives the coffee shop its distinction. The impression it wants its customers to remember. Business owners should always bear in mind to keep their customers happy. They should also ensure that they have the best baristas and friendly service crew. Often, customers will come back, not only for the great tasting food and coffee but most importantly, they come back for the positive experience they’ve previously had.